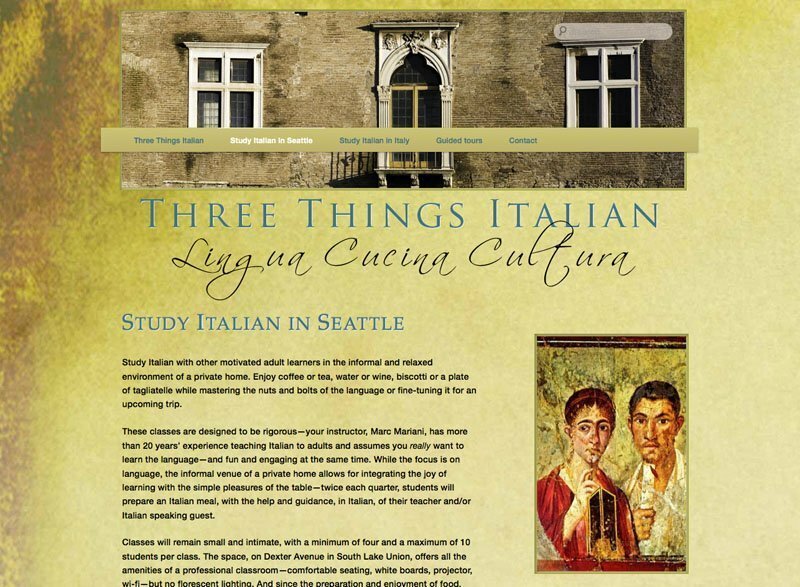 Three Things Italian – Lingua, Cucina, and Cultura offers Italian classes, individual lessons or customized classes in Seattle, tours in Italy and crash courses for travelers… and some wine tasting. 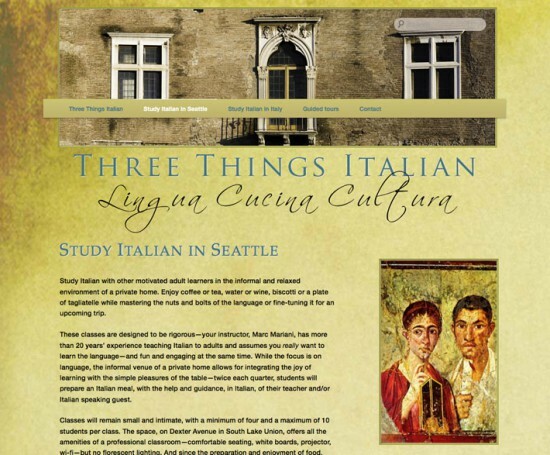 Build a website for Marc Mariani that would convey his method of teaching Italian as fun, thorough and steeped in the rich and ancient culture of Italy. 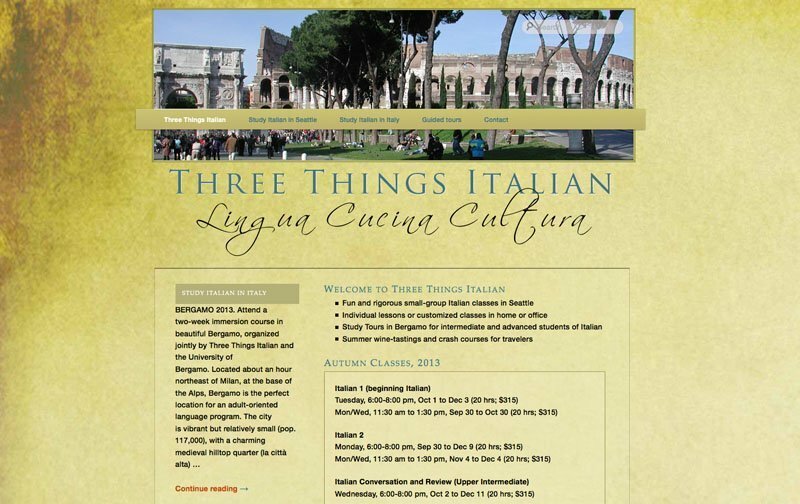 Students could register on the site. It would be easily maintained. The beautiful texture of ancient walls and doors became the background. 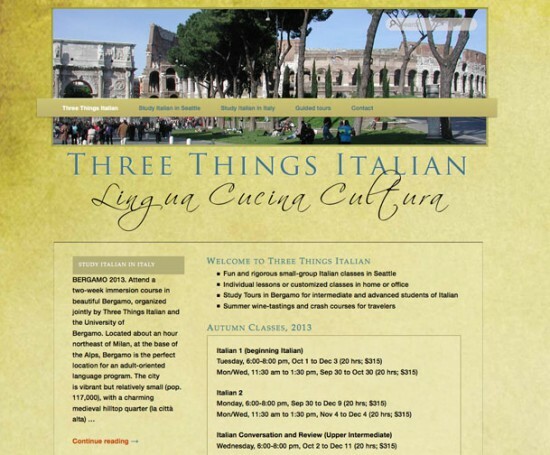 Marc’s photography from trips were featured on each page. Built easily updated registration forms.